Life is short! Use these four simple strategies to speed up the piecing process in a whole new way. Follow the no-nonsense advice of a quilter inspired by Yogi Berra, no less, down a different path (or two) to make piecing quilts faster. Use four simple strategies to cut down on how long it takes to sew the quilt top so you can have more time to either quilt the top or piece another one. Use 13 different construction techniques to make replacement units to speed the sewing along. Make any or all of the nine fun quilt projects or take these new tools and find your own piecing bliss. 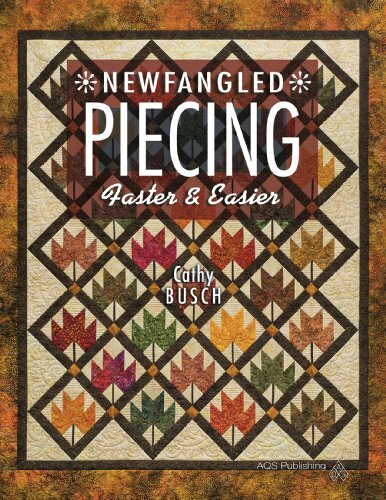 Cathy Busch is an award-winning quilter with a math teacher's eye for spotting clever tips and tricks, and an artist's eye for seeing the big picture. She lives in Waverly, Iowa.